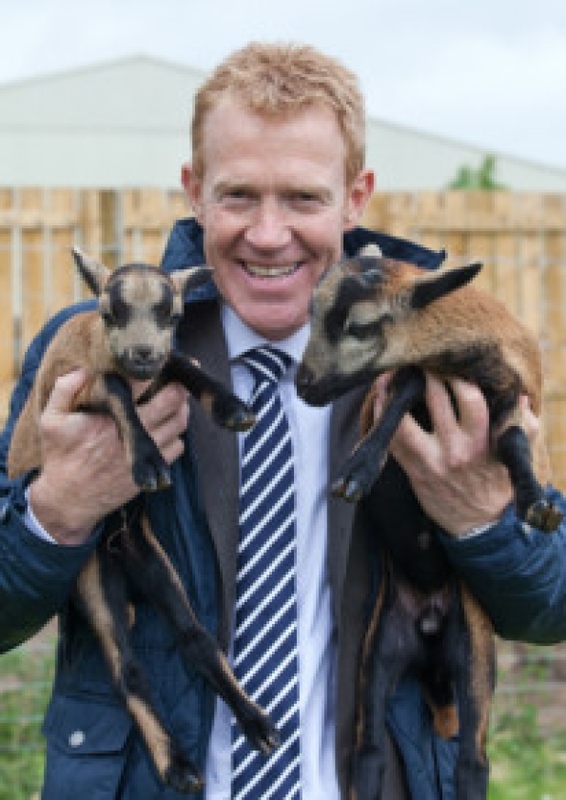 TV presenter Adam Henson joined invited guests from around the region to open Northumberland s newest tourist attraction, Kirkley Hall Zoological Gardens. Adam with cameroon lambs. THE region's newest animal attraction has officially opened at a Northumberland learning centre. Kirkley Hall Zoological Gardens near Ponteland invited countryside TV presenter and rare breeds farmer Adam Henson to cut the ribbon on its facilities in front of invited guests on Monday. The attraction, which forms part of the Northumberland College campus, will open to the public on Saturday. Visitors will be able to see more than 100 species of animal, including emus, wallabies, pygmy goats, marmosets, meerkats and alpacas, while zookeepers will be at hand to explain the creatures' behaviours and habitats. The centre also boasts a river and forest trail, ornamental and walled gardens, an aquatics centre, picnic areas, children's play areas and a tea room and gift shop. Kirkley Hall Assistant Principal Marcus Clinton said: "We are pleased to be launching our new attraction. Staff and students have worked really hard in order to make this happen. "The attraction will provide an excellent learning environment for the animal management and horticulture students, who will learn and work in the new centre, whilst providing a fantastic new attraction for the public to visit at weekends and school holidays." College students have helped to create the centre, gaining valuable experience for their courses in the process. Construction students have laid wheelchair and pushchair friendly pathways, while those studying animal management, horticulture and countryside courses have helped to build the enclosures. The launch event was attended by Ponteland Mayor Peter Cowey, local business people, staff and students. There was a presentation about the creation of the facility, a talk by Mr Henson and lunch, before guests were given a grand tour of the site. The zoo and gardens will be open at weekends and during school holidays from 9am to 5pm, with reduced hours in the winter, while the tea room and shop will be open seven days a week, from 10am to 2pm on weekdays and from 10am to 5pm at weekends.